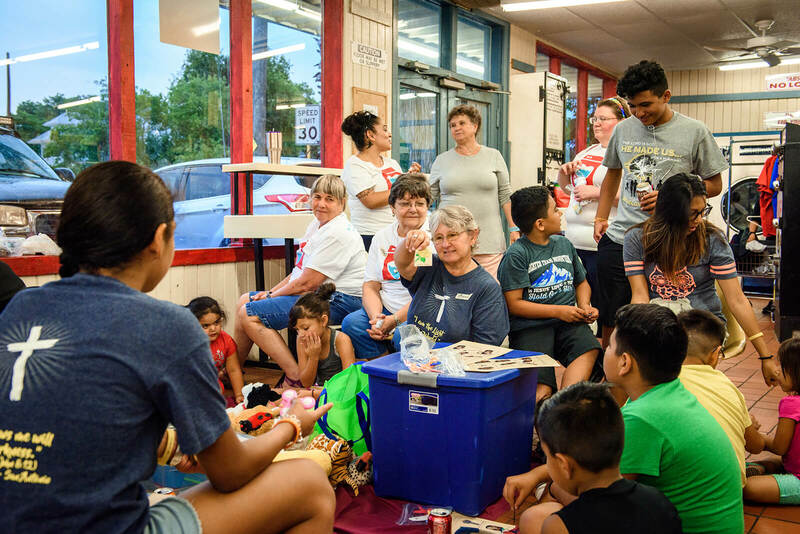 Although Wednesdays are usually slow at the E-Z Wash laundromat in San Antonio, there was a line out the door on a recent Wednesday evening as people from the community gathered for Laundry Love, an outreach of St. Paul Lutheran Church. Once a month, members of St. Paul come to the laundromat to help people wash, dry and fold their clothes. As nearly 70 loads cycle through, church and community members eat pizza together, talk, pray and form friendships. Volunteers from St. Paul Lutheran Church, San Antonio, hold a mini Sunday school lesson for children at August’s Laundry Love event. Each month, Murillo sees church and community members connecting in meaningful ways. Often, the moments are subtle — such as people giving high-fives to each other or a child making a craft during the mini Sunday school they hold at Laundry Love — but some moments are more dramatic. During the closing prayer at the August event, attendee Roberto Cantu began weeping as he shared that his mother had died a few days earlier. Afterward, church member Tom Kusiak stayed to comfort him. “They care for me here,” Cantu later said, when asked why he’s a regular at the monthly event. 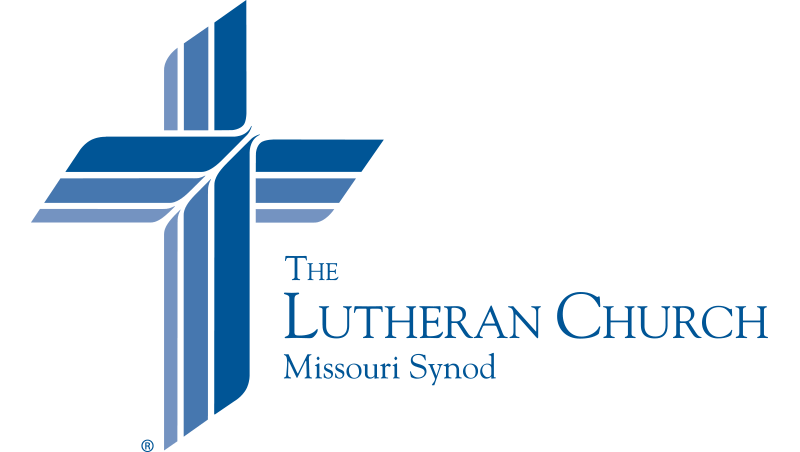 St. Paul was able to establish Laundry Love — which is part of a national initiative to care for people by helping to provide clean clothes — and fund it for two years thanks to a $12,000 grant through The Lutheran Church—Missouri Synod’s “Stand With Your Community” program. The grant program focuses on inspiring and empowering laity for local witness and mercy outreach opportunities during the 500th anniversary of the Reformation and was made possible by a partnership between the LCMS, Thrivent Financial and Lutheran Church Extension Fund. Murillo said a few people have attended worship at St. Paul after coming to Laundry Love, while others have reconnected with churches they used to attend. Either way, he prays they will find a church where they will hear about Jesus each week.